Fri. #1 is HERE. To help the website out please subscribe to Mistah MegaManFan so we can reach 1,000 (current count: 819). If you're a gamer you'll enjoy the content! Don't miss Thursday Night AMP from last night! With the cheap plugs out of the way here's Friday's latest wrestling news. 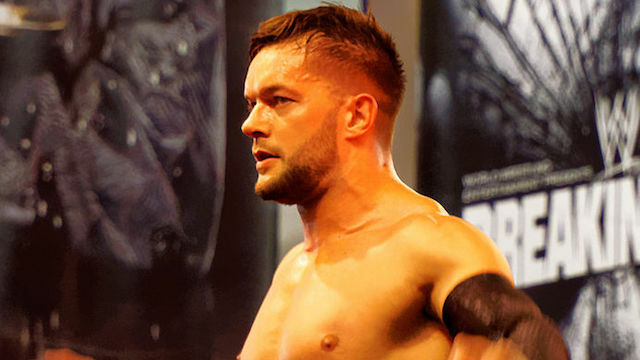 In this interview Finn Balor talks about why he wanted to go to New Japan Pro Wrestling first over WWE: "WWE never came into my mind at all. Like, I kind of adjusted my goals, and, like, I was watching Nagata, Tanahashi, Tenzan, like, from ringside every night, learning from these guys, so it became my goal to climb the ladder in New Japan and try to get as good as I can. And I think I was two, two-and-a-half years, into my run in New Japan and Johnny Ace called me and said, 'hey, we have an opportunity for you.' I can't remember was the promotion was at the time. I think it was Florida. I just didn't feel like it was the right move at the time. I felt like I was just finally getting the hang of the New Japan style and trying to get a little bit of a run going and I didn't feel like it was the right moment. They came back, like, a couple of times over the years and it never felt like the right moment. Honestly, it didn't even feel like the right moment when I left, but I felt like my clock was kind of running out in regards to how many years I have left, like if that opportunity would rise again at the time." * Alex Coughlin vs. Davey Boy Smith Jr.
New WWE related videos are below. The latest episode of Christian's Knight Fight did 495,000 viewers overnight. (SBD) That's higher than the last episode of Total Bellas which only did 454,000 viewers. Lance Archer wrestlinginc.com/news/2019/02/lance-archer-talks-spitting-water-into-njpw-crowds-650469/ says he's not allowed to spit water on the New Japan fans any more. The latest free match from http://powerslam.tv/ (get your first month FREE with the code ANGRYMARKS at checkout) is below. In this interview Adam Rose says Bull Dempsey got him into rehab: "One of my good friends, Bull Dempsey, was on the phone with me one night, and he says, 'you gotta get help. You're gonna die.' And he spoke to someone in the WWE, they contacted me, and the WWE actually sent a car to pick me up, take me to Tallahassee, and fly me into treatment. They didn't have to do that. I had left the WWE in ill repute. I had been an embarrassment to the WWE, I'd done damage to their name. They did not have to do what they did. They were so supportive and so helpful. They got me into treatment on their dime, and have ever since then been helping me... the WWE has done nothing but support me through my recovery." 2:00 PM ET. In this interview Daniel Bryan is not a fan of manscaping: "kay, okay, okay. This is the problem with the world - you see this? He calls this a beard. Like a real man would just, like, manicure his beard. Do you see the lines here? Do you see the effort he's put in to this? No real man would put that kind of effort in to a beard. That's called manscaping! Manscaping is a horrible thing in this world! This! This is uncluttered man right here! This is unfiltered manliness. Yeah, that's what I'm saying, hiring somebody to trim your beard, what kind of bourgeois baseball player are you? Hiring some man to just trim your beard. That's outrageous! Listen, part of my platform is to fight against stupidity. That's what I'm doing, I'm fighting the world of stupidity. There's all these people doing and saying all these stupid things and I'm trying to fight them all. I can't fight them all on my own! I can't fight 'em all on my own! Stupid beards, stupid things about beards, I can't fight them all on my own! But I'm gonna try because I'm the WWE Champion, I'm Daniel Bryan!" According to Jerry Lawler, R-Truth was legit hot at Nia Jax after the Royal Rumble: "And this got real heat for real. She blasted poor R-Truth and knocked him face-first into that wall. He was hot, for real hot. They were having to hold him back there. She made it look good." Some Impact talent were/are unhappy about the WrestleMania weekend house show being moved from Queens to New Jersey. (PWI) Speaking of Impact a brand new video is available below. Last but not least timesnownews.com/sports/others/article/exclusive-2019-really-important-to-wwe-for-long-term-india-plans-says-wwe-s-director-of-talent-development-smackdown-raw-vince-mcmahon-triple-h-kavita/356397 here's a Canyon Ceman interview if you're interested.